10 Homeowner’s Insurance Problems; and How to Solve Them – David M. Kulawiak, Inc. The worst time to find out that you have no insurance, or inadequate insurance, is after a loss. If any of the following situations apply to you, a standard insurance program might not be enough. 1 Problem: Your home is 30 or more years old. Insurance will cover the cost of bringing a damaged or destroyed building back to its previous state. But will you have enough to make sure it complies with current building codes? Some communities require an owner to demolish and completely rebuild a building that has been damaged over a certain percent (often 50 percent). The standard homeowners policy does not cover demolition costs. Solution: Add “ordinance or law coverage.” This policy endorsement (addition) will cover your additional costs of complying with ordinances or laws when rebuilding after an insured loss. 2 Problem: You have a historic or highly customized home. If your homeowners policy provides “actual cash value” coverage, it will pay a maximum of the replacement value of your lost or damaged property, less depreciation. That probably won’t come anywhere close to the cost of replacing the special craftsmanship and materials that go into many historic homes. Even an ordinary “replacement cost value” policy probably won’t provide enough protection. Solution: Buy a homeowners policy that pays losses on a restoration cost or guaranteed value basis. A restoration cost policy will pay to restore your home’s features, while a guaranteed value policy will pay up to a maximum amount that you select. 3 Problem: Your property is subject to a homeowners association. Since you share ownership of common areas with others, you’ll want to check that the association has appropriate insurance coverage. You’ll also want to make sure it has enough reserves to pay for repairing or replacing common elements near the end of their useful life. Associations that lack reserves for necessary repairs can assess members to pay the difference. Solution: Buy a loss assessment endorsement for your policy. This will add coverage for assessments when common elements owned by the homeowners association need repairs. 4 Problem: You live in an area where costs are increasing rapidly. Unless you’re vigilant about updating your coverage, your policy might not pay enough to repair or replace your home after a loss. This problem could become worse if a disaster affects many properties in your area. Labor and material shortages would push up the cost of repairs. Solution: You can add an inflation guard endorsement to your homeowners policy. This will automatically increase your coverage limits every year by a specified percentage. 5 Problem: You occasionally rent out your home. Short-term rentals can bring in cash—they also increase your risk exposures. Solution: Minimize your risk by requiring tenants to pay a deposit and/or provide proof of their own coverage. Airbnb provides landlords some protection—it will reimburse hosts for up to $1 million of damage to eligible property. However, this is not insurance and is not regulated by the state insurance department. If you plan to rent your home through Airbnb or a similar service, please call us to discuss your insurance needs. 6 Problem: You have business equipment or property at your home. The typical homeowners insurance policy limits coverage for “business personal property” to $2,500, which might not be enough. Solution: Add an increased limits business property endorsement to cover business personal property at home and off premises. If your business property consists of computers or electronics, you might need a computer or electronic equipment endorsement for your homeowners policy. Without this endorsement, the typical homeowners policy limits coverage for computers and electronics to $2,500; one high-end computer and accessories could easily cost more than that to replace. 7 Problem: You have valuable trees and shrubs. Landscaping can add as much as 20 percent to a home’s value. Is yours protected? Solution: Know your coverage. Most homeowners policies will cover a tree or shrub damaged or destroyed by a “covered peril.” These typically include fire, lightning, explosion, aircraft, vehicles not owned by the resident, theft, vandalism and malicious mischief. Most policies limit coverage for any one tree or shrub to $500 apiece, to a maximum of 5 percent of the amount of the coverage on your home’s structure. 8 Problem: You have people who are not related to you living in your home. Your policy might not cover them. The homeowners policy covers the “named insured,” or person whose name is on the policy. (If your house is jointly owned, both owners should be named on the policy.) The policy also insures people who are related to the named insured and other people under age 21 who are in the care of any insured. The policy might not cover other people, particularly for liability, even if you consider them household members. Solution: Contact us to discuss your situation. You can ask your insurer to cover another individual as a named insured or insured. 9 Problem: You own high-value collectibles, jewelry, antiques or firearms. Homeowners policies usually put a lower sublimit on coverage for these high-worth items. 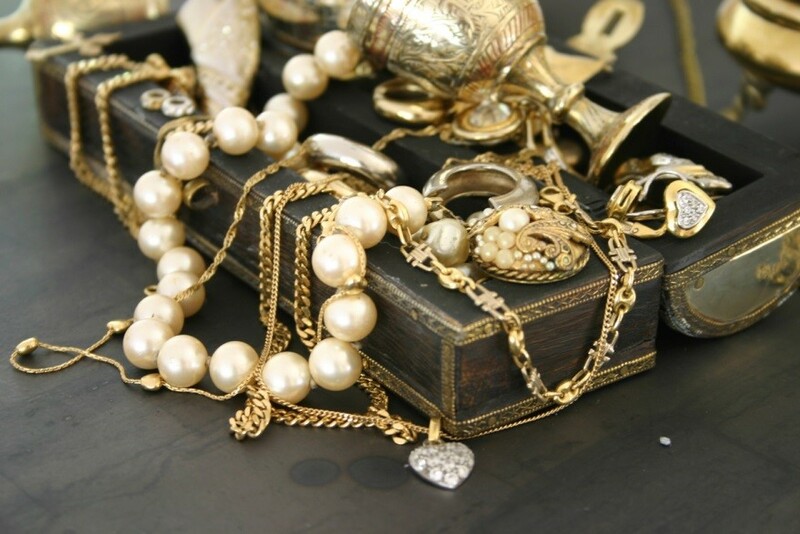 If your policy limits coverage to $2,500, your valuables might be underinsured. Solution: Add an endorsement to your homeowners policy or buy a separate “floater” insurance policy. We can help you decide which is best for your needs. 10 Problem: You have remodeled, added to or upgraded your home. Do you have enough coverage? Solution: Check your insurance coverage at least annually, and after any significant remodel or upgrade. Update your limits as needed. If you have any questions on your coverage, or if you’d like to schedule a policy review, please contact us.